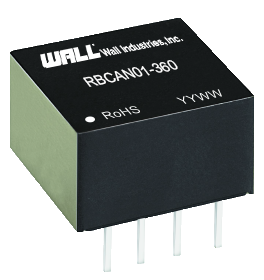 The RBCAN01 series of CAN isolation transceiver module is a single channel, high speed, industrial bus that converts TTL/CMOS level to CAN bus differential level and achieves signal isolation. This series consists of very compact models with a standard DIP8 package and a bus that can support at least 110 nodes. It features two-port isolation of 2.5kVDC, baud rate up to 1Mbps, and bus timeout protection. This series is RoHS compliant, meets ISO 11898-2 standard, and also has EN60950 safety approvals. Notes: 1. The presence of dust, fierce vibration, impulsion, and corrosive gas may cause damage to product. 2. 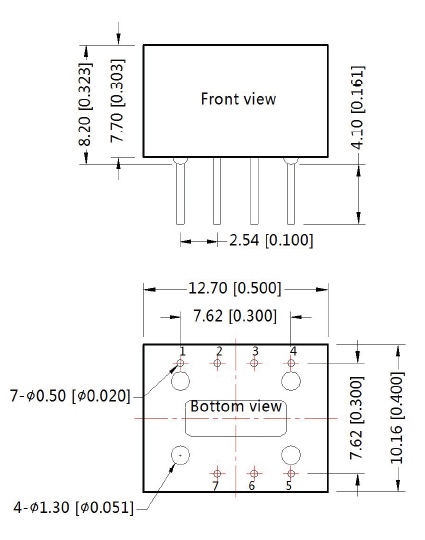 The performance indexes of the product models are as listed in the data sheet above, but some indexes of non-standard model products will exceed the above mentioned requirements. Contact factory for specific information. -This product is powered by DC power supply. AC power supply is prohibited.